In stitching we have made a common ground, we do not need to speak and yet we do while stitching. 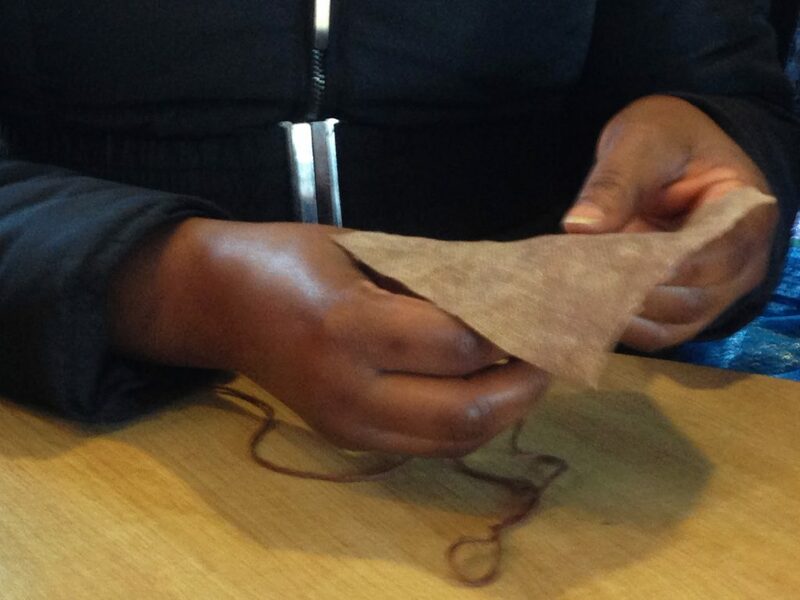 The women are modest and say they can’t stitch or that their stitching isn’t good. But they do stitch and produce beautiful work. Some watch. I want to ask them about textiles, their memories and making of textiles in their native places. I am nervous to ask them this but I hope it will come as I continue to meet them. Already they are stitching more, talking more. I showed them the piece by Jenny, who said she has never stitched before, didn’t like stitching, but she did it with her grand daughter. It is complicated stitching of an apple tree. 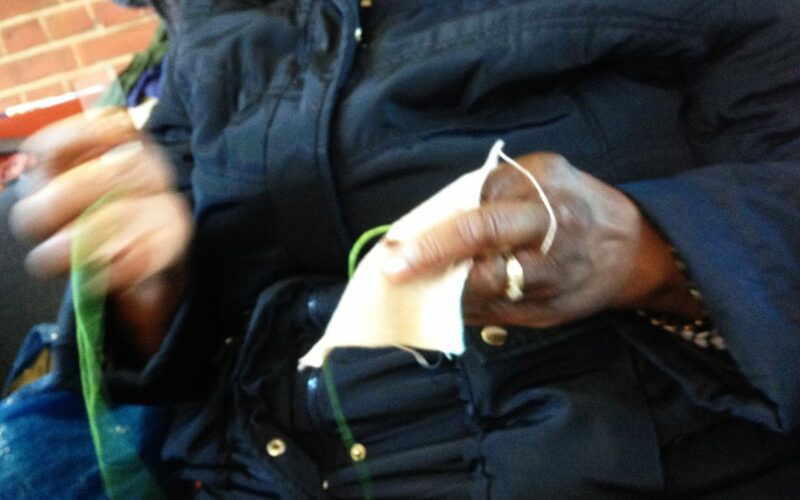 Stitching as a making of community and means of social engagement is well established. Francois Dupre in her chapter ‘ From Brixton to Mostar: social practice through textiles’ [Hemmings, J. 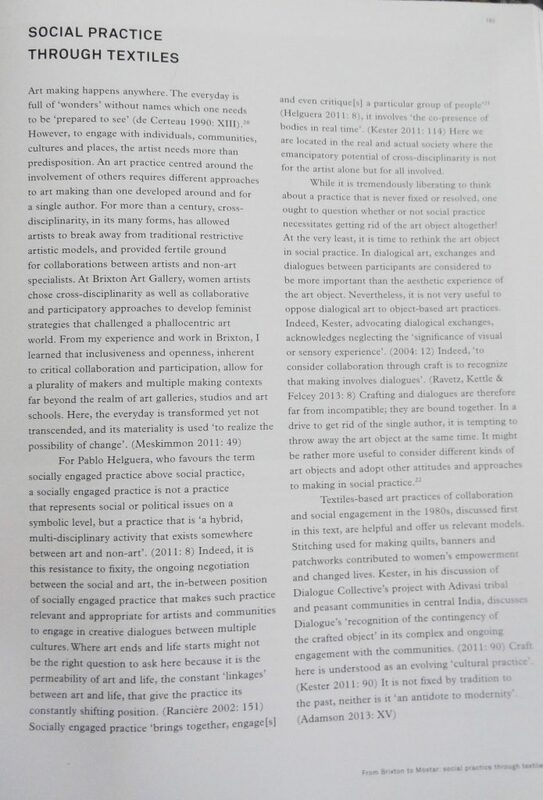 (Ed) Cultural Threads: Transnational Textiles Today (2015)] asks if conversations and exchanges are in fact more important than making. I think they are inseparable, interconnected and mutual. She also talks of the permeability of art and life, how in living we are making and making we have life.